Needs to be from a 07 or newer. I don't know where you got the other information. If the springs look about right, it probably is. Our data might be slightly incorrect, but it was based on the data we had at the time. So I got the G80 put in and I haven't tested it out yet but, I will for sure over more of summer. Also got a roof rack installed with a 30 inch curved led into the grill. Thing looks pretty nice so far, got the 2 in leveling lift in but just gotta find time to install it. Lemme know if you guys want pics. Do we want pics?!??? What kind of question is that? Post ‘em up! I haven't forgotten about the site. I'm still reading up, asking questions, and buying parts right now. My father passed away a couple weeks ago so my progress will be delayed through most of the summer. 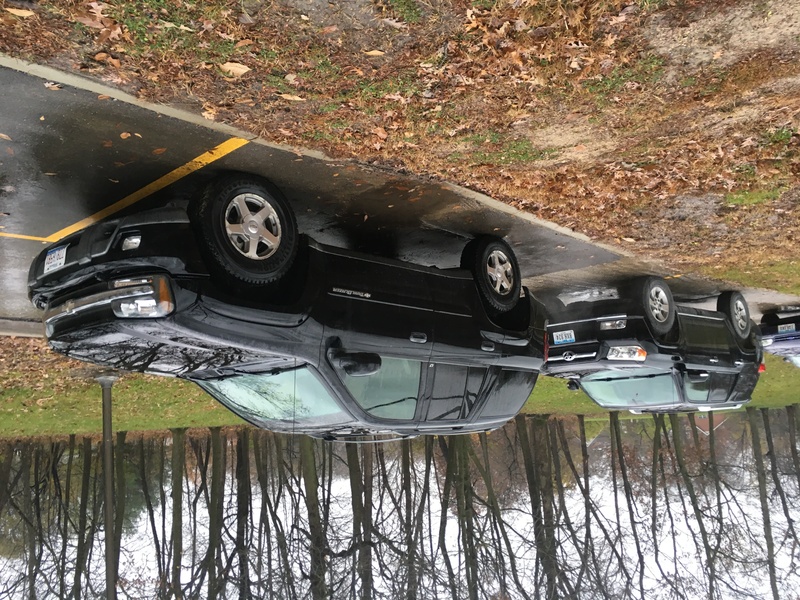 When I have time, I have a rough country leveling kit, Z71 rear springs, Bilstein shocks, and a set of 265/60R18s for the '09 Envoy. The '03 Envoy is a little more complicated. I plan to get the 3" MarkMC lift, 2" body lift, bumper and skidplates from MDB fabrication, and find a set of Tacoma rock sliders. I do have a Trailblazer XLT G80 rear axle bought for it. I doubt I will get to working on them before August or September now. Hi everyone! I'm new here. I would be glad to communicate. Tygraron wrote: Hi everyone! I'm new here. I would be glad to communicate. Been lurking around for a good 3 months. I originally purchased my 06 LT for my 18yo daughter. She needed something more road Worthy than the Rendezvous. This Trlblazer had been sitting for 8 or 9 mos, it was low on antifreeze so I grabbed a jug and threw it in purchased the vehicle and drove 70 miles back home. When I arrive in Grand Forks the water pump let's loose and puked antifreeze everywhere. Not terribly concerning because I have 2 years Auto tech training (class of '94) the career didn't fit my life. I threw the water pump in about 3 hours changed the oil, checked fluids and sent my daughter off to potato harvest. It's about 65 miles commute to the farm once or twice a week. Fast forward about 5 weeks harvest is over and while driving home from her last day, made it about 10 miles from home and an outer tie rod come right out of the socket. Luckily it happened as she was taking off from a stop sign and not going highway speeds. And so begins my Trailblazer build? There are two separate sides of the site. One side is the thing that we call the "www" side. This is the segment of the website that has a web address beginning with www. This incorporates our tech docs, how-tos, recuperation articles, news posts, and media segments (and is an awesome asset!). The opposite side of the site is the gathering. Any page whose web address starts with 'discussions' is a piece of the gathering. The discussion is the client network and has an abundance of data posted by our clients. You will discover connections to the two sides of the site from the top menu bar, underneath the ORTB logo.